It’s rather wet and windy folks. We just had a delivery and the driver said the doors almost snapped off his van at his previous drop to the golf club on the common! The Christmas decorations are up and the lights will be switched on this Friday. Tables available for dinner this weekend…..please call us on 01453 832808 to book. 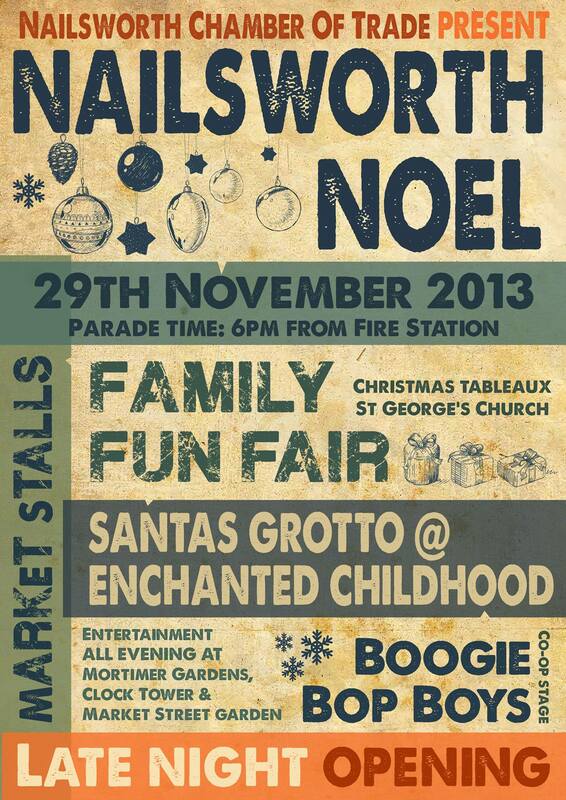 It’s Nailsworth Noel on Friday 25th. It seems a bit early to put the festive decorations up but we’d better show willing! We had a busy weekend, thank you, with a steady flow of brunch customers on Saturday followed by a full house for dinner.Same again this week please. It seems as though every time we place an order for food, drink, equipment or cleaning materials the costs have gone up yet again, not to mention utility and services increases. We will try to maintain our menu prices for as long as possible and certainly won’t adjust anything until the New Year. Reminder……we will not be serving our normal style of menu on Friday due to Nailsworth Noel….see previous post for more details. Aged local beef fillet with Evesham leek, mustard and red wine sauce £3.50 supplement – sorry! The annual event is back this year….see poster below. We will be opening early and offering a simple selection of hot filled baps etc. instead of trying to do our normal menu with lots of people, road closures and parking difficulties. The menu is also below….if you are strolling through town and watching the bands and parade do pop in for a warm up and a drink and bite to eat. Please note we are fully booked for “normal” dinner on Saturday 30th…..sorry. Supper menu-5.30 till 9 p.m.